Tec 6100 – 500 watts and capable of dispensing up to 4.1 kilos of molten adhesive per hour. Pneumatic and effortless to use. 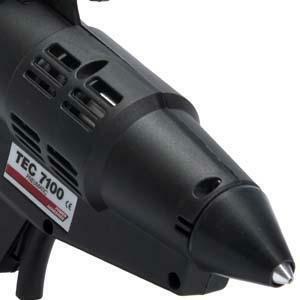 Tec 7100 – Probably the most powerful hand held glue gun available, 1000 watts of power, with pneumatic speed loader. Effortless to use ! Take a look at our range of 43mm glue slugs – challenge us, we can bond anything! 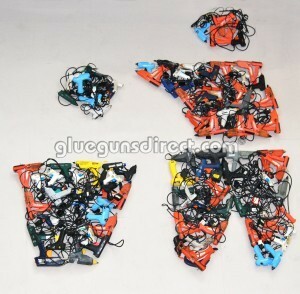 All 43mm Tec glue guns are made to a very high specification in the UK and offers industry a rugged and reliable production tool at exceptional value for money and a 12 month warranty.